Snegirev I.M. The experience of reasoning about Russian proverbs. Moscow. 1823. Read in the Society of Lovers of Russian Literature. An old people’s proverb is not said by. Moscow, in the University printing house, the year of 1823. 4 [n.n. ], 49 p., 8°. Contemporary half calf. The soft printed publishing covers were preserved. A separate print from «The Compositions in verses and prose», p.3, 1823, vol.7, published in a small number of copies for needs of SLRL. On the title-page there is a magnificent autograph of the author to «the old pal» Constantin Fedorovich Kalajdovich, the middle of three Kalajdovich brothers (Peter, Constantin and Ivan). The book was actively studied by Constantin Fedorovich. On many margins there are present his notes and postscripts. The book is devoted to Anton Antonovich Prokopovich-Antonovsky. 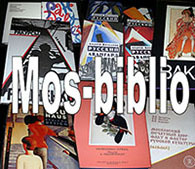 References: Smirnov-Sokol’skii, Biblioteka, vol. I, №1136.